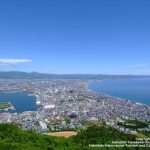 What can you look forward to when visiting Hakodate in summer? 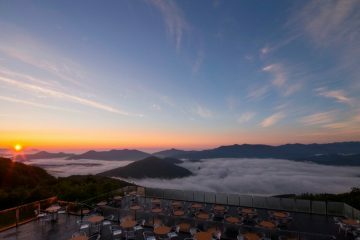 Freshly caught squid, seafood gourmet, an exotic townscape which contrasts with its green surroundings, the view of a sea of clouds, and foggy night views from Mount Hakodate; summertime Hakodate is full of charm and attractions. 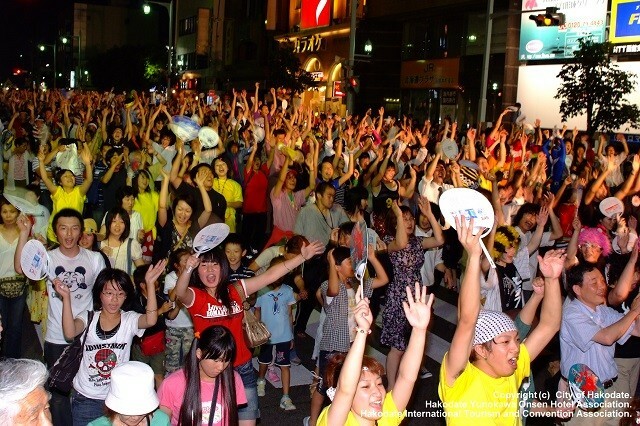 Summer in Hakodate is also a time for festivals. 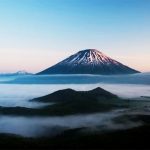 Here I will introduce 4 summer festivals in Hakodate and southern Hokkaido that you should not miss out on if you’re in the Hakodate area at the right time. All these summer festivals have their own unique charms! Minami-Kayabe is a port town located 30 km east of Hakodate city. The Minami-Kayabe Hirome Boat Festival held here in early June is a festival praying for a good harvest, offering gratitude to the fishery port and the rich seafood. 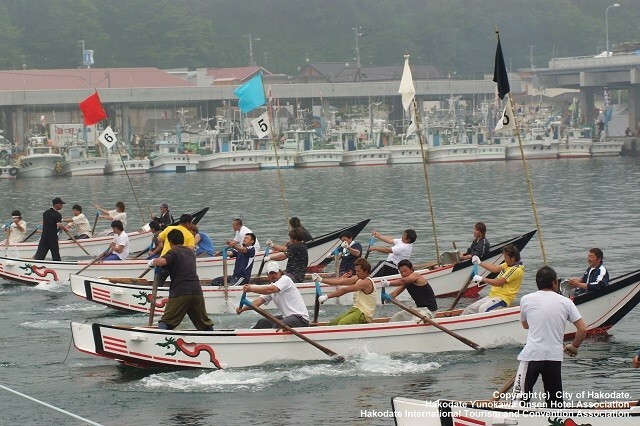 As a result, there are many events related to boats and fishing ports, such as boat racing competition and ship parade. There is also an exhibition of local traditional arts, and an educational part too, in which you can learn about the history of Minami-Kayabe. The Hirome part of the festival name refers to kelp (konbu, in Japanese), a local specialty. Keep your eye out for them at the local stores — they make for a tasty souvenir. 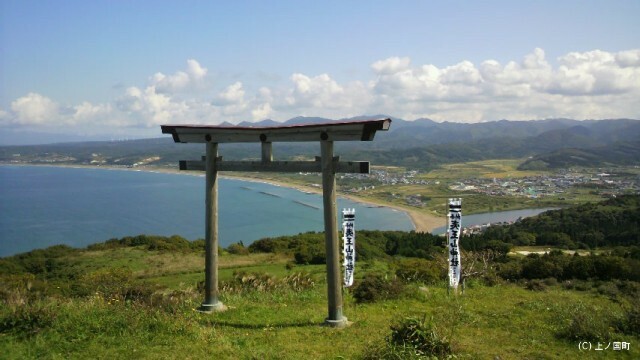 Kamonokuni is a town on the west side of the Oshima peninsula. 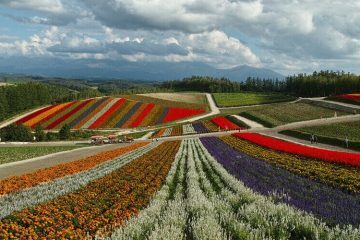 It’s about a 2 hour drive away from the city of Hakodate. It’s surrounded by views of the Pacific Ocean and lush forests. 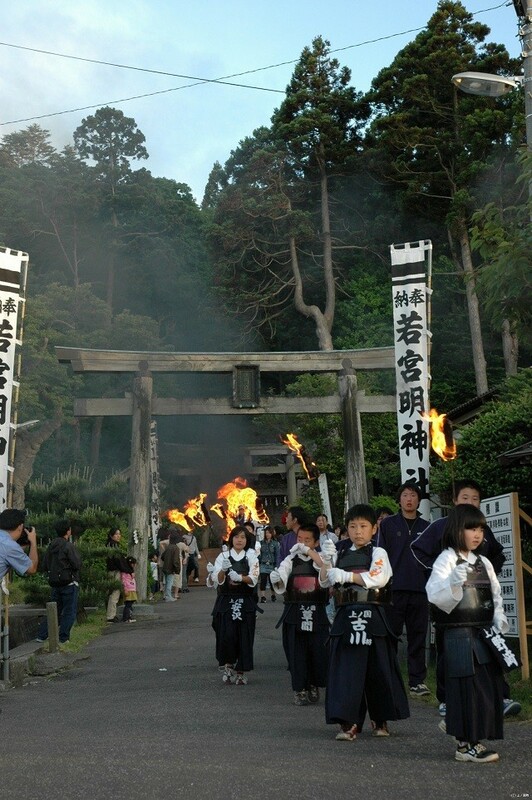 The Kaminokuni Iozan Festival takes place in mid-June at Iozan Shrine atop a hill near Kaminokumi town. Various events such as Banba Tournament and quiz rallies are held mainly at Iozan special venue, but the highlight of the festival is the torchlight procession. The sight of local children marching torch in hand from Kaminokuni Hachimangu Shrine to Iozan Shrine makes for a solemn otherworldly ambiance. This also coincides exactly with the time of the year in which wild rhododendrons are in full bloom. Please enjoy the beautiful scenery not just during the nighttime torchlight procession, but during the day as well. 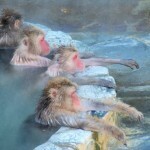 Onuma quasi-national park is popular as a picturesque outskirt of Hakodate. 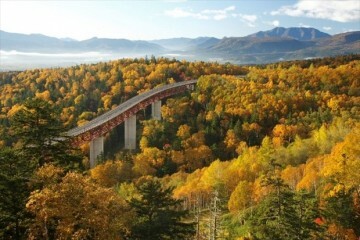 It is famous for its idyllic view of Mount Komagatake across the large lake. 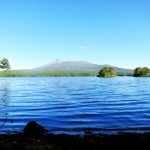 In July it sets the stage for a festival named Onuma Lake Festival. This festival has been held for over a 100 years since 1906. 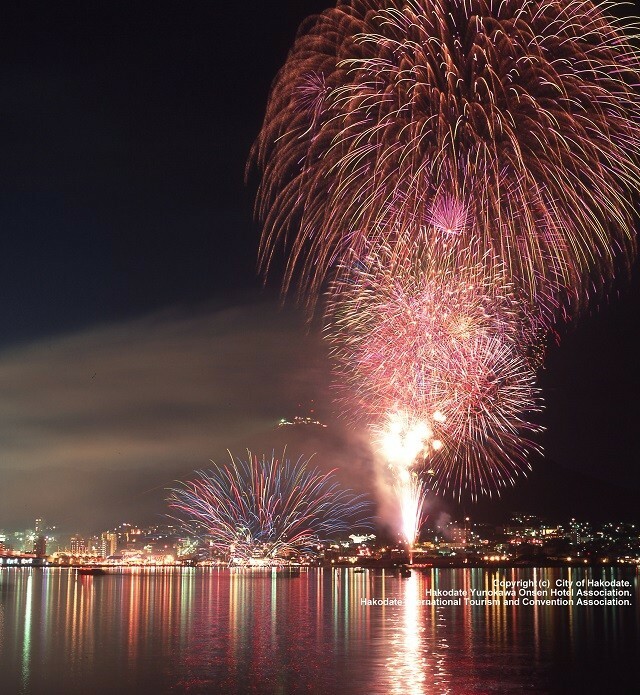 Various events such as taiko drumming for children and Japanese dance will be held, but the fireworks that will be lighted above the lake is one of the main highlights of this festival. On the first day, a lantern procession and floating ceremony will take place. Local residents began the custom to comfort the spirits of souls perished at sea, but nowadays everyone can join, provided that they apply in advance. 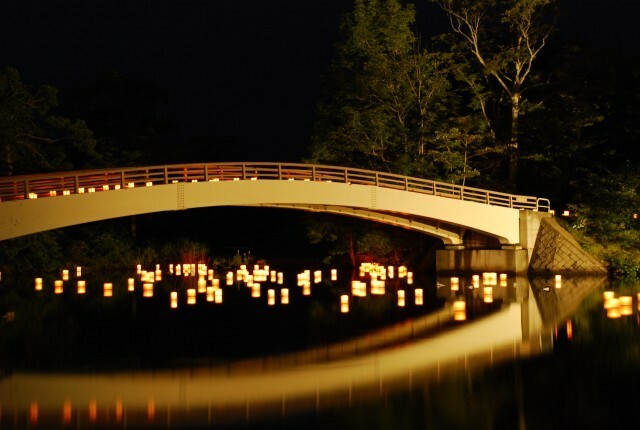 The view of the lanterns drifting over the lake is mesmerizing, and the atmosphere spontaneously draws you in. 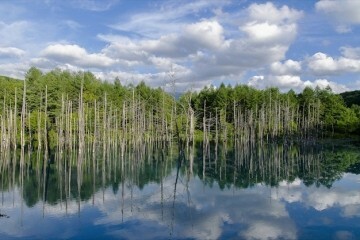 This scenery can be seen as a tribute to those who passed away, their hearts calm and gentle. July, when this festival is held, and August are also the months in which the lotuses on the lake bloom. 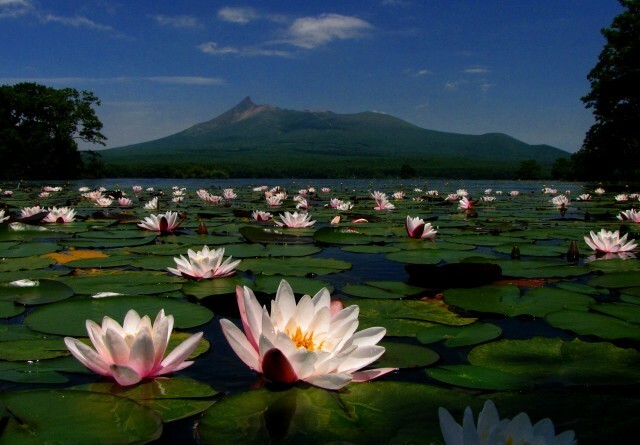 The view of green leaves and elegant pink flowers pink dotting the lake is a must see. August in Hakodate starts with the Hakodate Port Festival. Although the dates of many events and festivals vary year by year depending on the day of the week, the Hakodate Port Festival takes place every year from August 1 to 5. 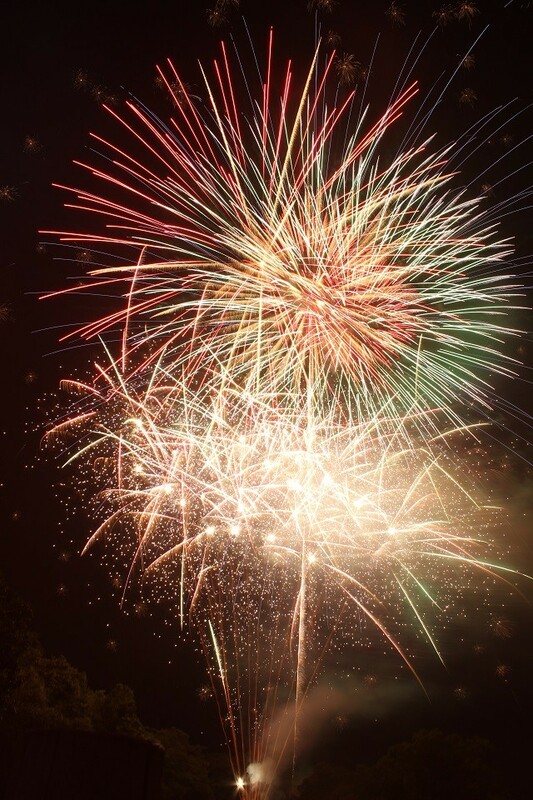 On day one, the festival kicks off at night with the Doshin fireworks display. The launch site is the artificial Green Island in Hakodate Bay. Therefore, you can also enjoy the display from various vantage points around Hakodate Bay, as well as any hotel rooms and restaurants facing Hakodate Bay. You can also watch from the top of Mount Hakodate, a recommended spot from which to view both the fireworks and the cityscape at night. On the 2nd and 3rd day, on different locations each, the parade called Wasshoi Hakodate is held. 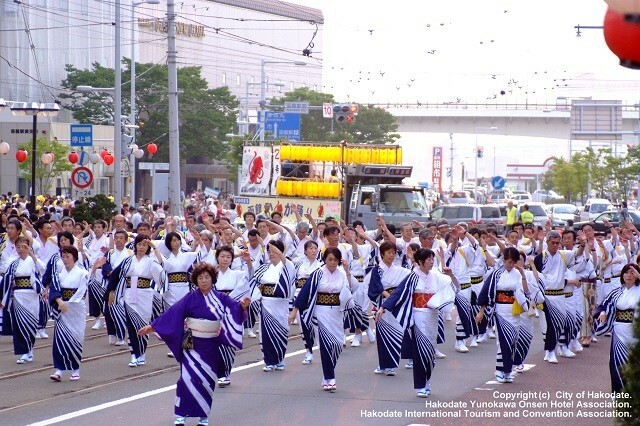 This parade is divided into three parts, one of which is the dance procession though Hakodate Port. This dance has been danced during the summer festival in Hakodate since old times. 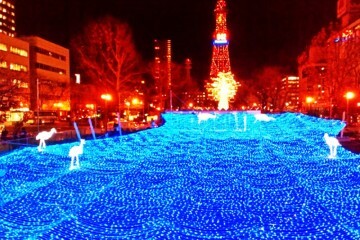 It involves many eye-catchers such as an illuminated floral street car. Following part 1, part 2 consists of the summer carnival and children dancing the squid dance, and in part 3 the Hakodate Squid Dance is performed. During the summer carnival all participants are free to choose their own dance and music. It is exciting to guess what dance the next group will perform. The Hakodate Squid Dance is a dance that everyone who lives in Hakodate is familiar with. It has a simple repetitive choreography, so many people participate, including small children and the elderly. In part 3, towards the end of the Hakodate Squid Dance, there is an area where everyone can freely join in. Why don’t you observe the parade, master the squid dance, and take part on the spur of the moment to create some fun Hakodate summer memories? I’ve described 4 summer festivals in the Hakodate area that I believe are very much worth visiting, and I hope you’re left with the same impression too. Each of these festivals is unique in their own ways, and they all can be enjoyed in various ways too. 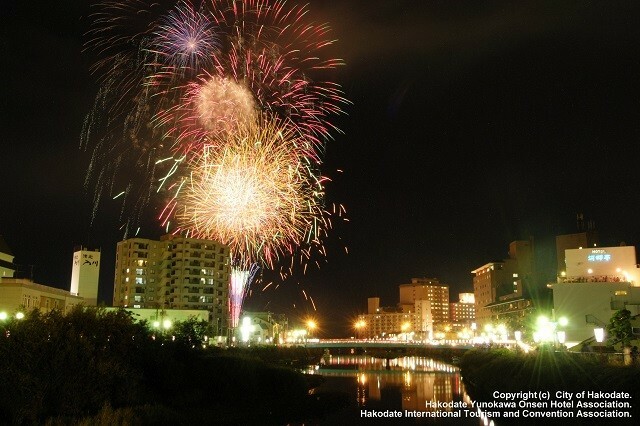 May the next time you travel to Hakodate bring you many fun summer festival memories!